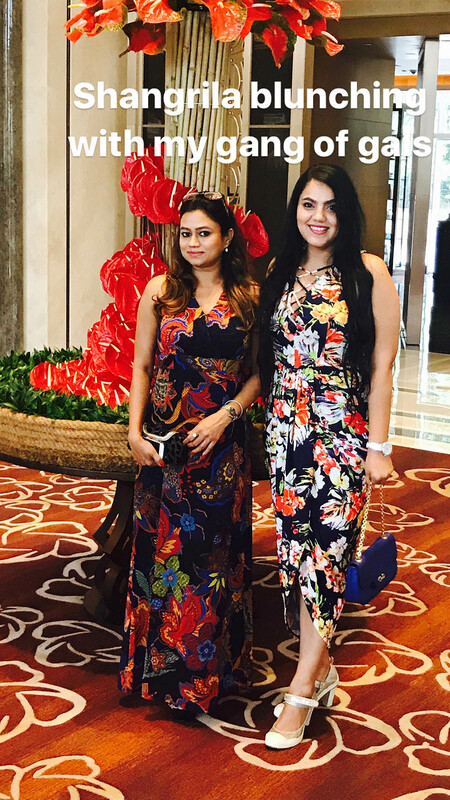 Bengaluru, August2017 –Shangri-La Hotel, Bengaluru, known as the city’s largest food and beverage destination, adds another feather to its cap with the launch of Malaysian cuisine at its all-day-dining, multi-cuisine restaurant, b Café. 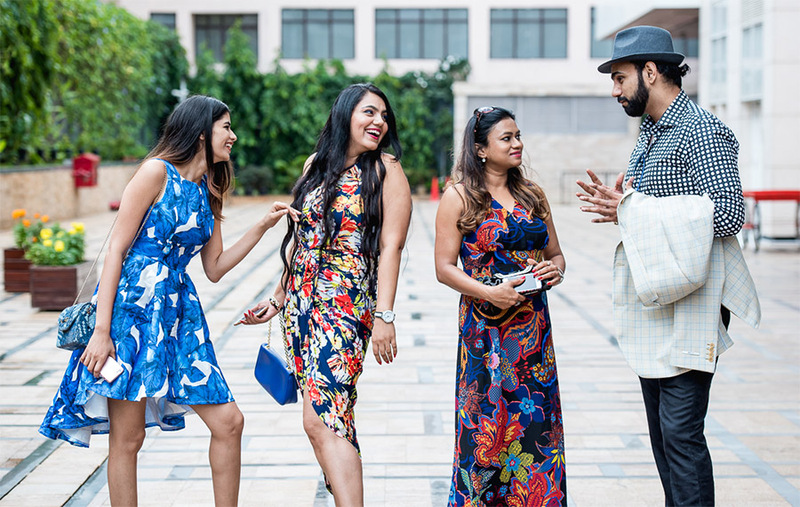 The hotel, in association with Tourism Malaysia, is launching the popular cuisine through a 10-day-long cultural festival that will enliven the spirit of Malaysia with sights, sounds and flavours that take centre stage. 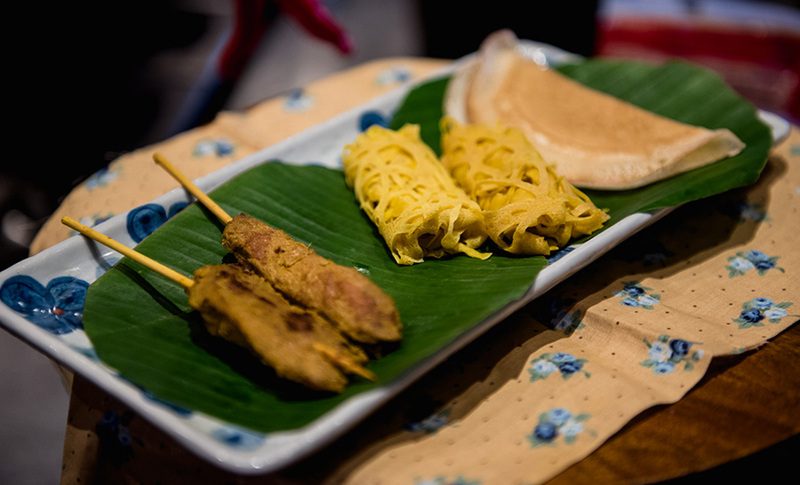 Expat Asian Chef de Cuisine Liew How Wai introduced us to the distinctive and aromatic delicacies that are integral to Malaysian culinary codes, with a hint of hawker cooking. We, (loftyspectrums and friends) had a fun lunch noon which tantalised our taste buds, guests will surely be spoilt for choice with the brilliant chef’s expansive menu including must-try dishes Rojak Buah (Mix Fruit Salad), Ayam Percik (Barbecue Chicken), Kambing Masak Kurma (Malaysian Curry Lamb Kurma), Satay Ayam (Chicken Satay), Mee Goreng Mamak (Malaysian Fried Noodles), Popiah (Malaysian Crepe) and Nyonya Laksa (Noodles in Thick Coconut Broth),to name a few. Chef Liew’s menu features rich and spicy influences which extend from wok-fried noodles, steaming bowls of fluffy rice and delicate, savoury-yet-sweet Malaysian delicacies to age-old culinary gems and spices. We had a fashionable and fun afternoon with a lot to eat, laugh and talk about. The discussions on food though took centre stage. The performance of traditional Malaysian dance just nailed the all sensorial experience. The gang of my friends are planning to visit Malaysia. Malaysian tourism industry is growing enormously and its rich culinary culture is a big part of the tourism. 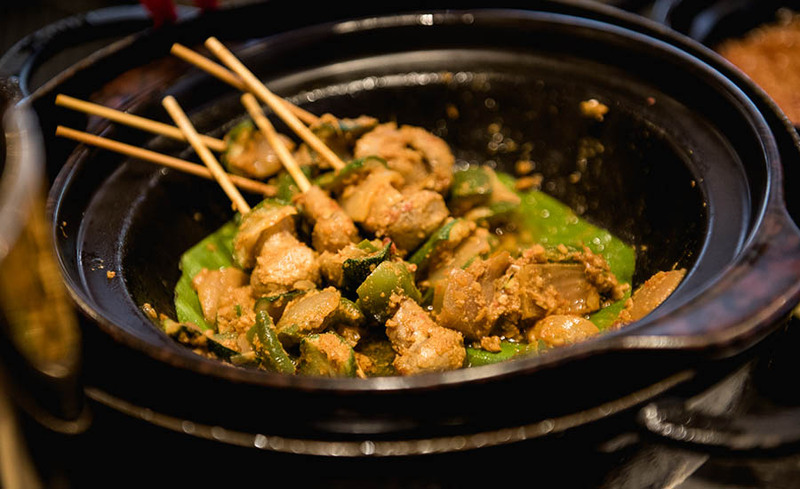 Asian cuisine has gone from being a niche food obsession to becoming one of the most popular around the world over the last decade. 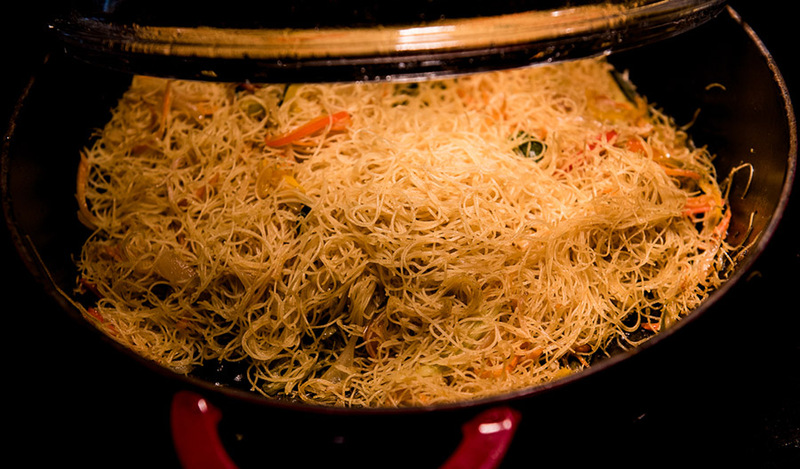 “Malaysian cuisine is a melting pot of cultures spanning Thai, Chinese, Indonesian and Indian flavours that has been spicing up many kitchens globally; the growing tourism has immensely contributed to driving this growth. 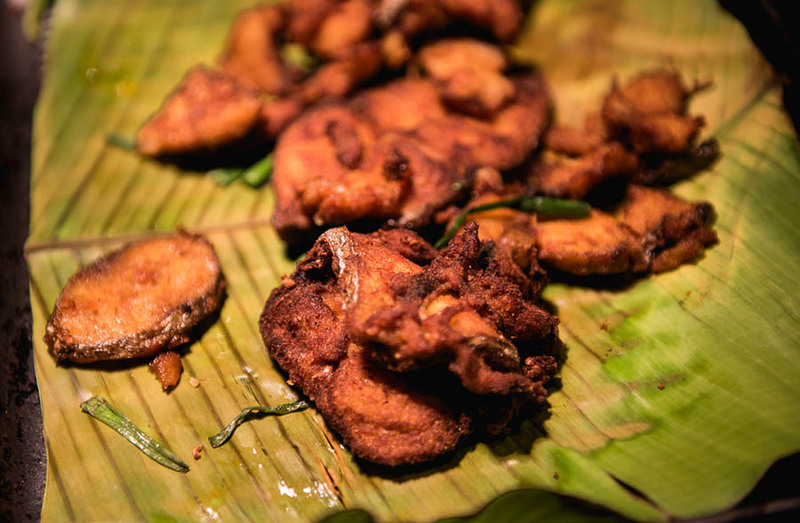 Many of our dishes have become familiar names and are relished worldwide and this is a testament that our rich culinary culture is mutually appreciated throughout the world,” said a visibly delighted Noor Azman Samsudin, the director of Tourism Malaysia for South India and Sri Lanka. 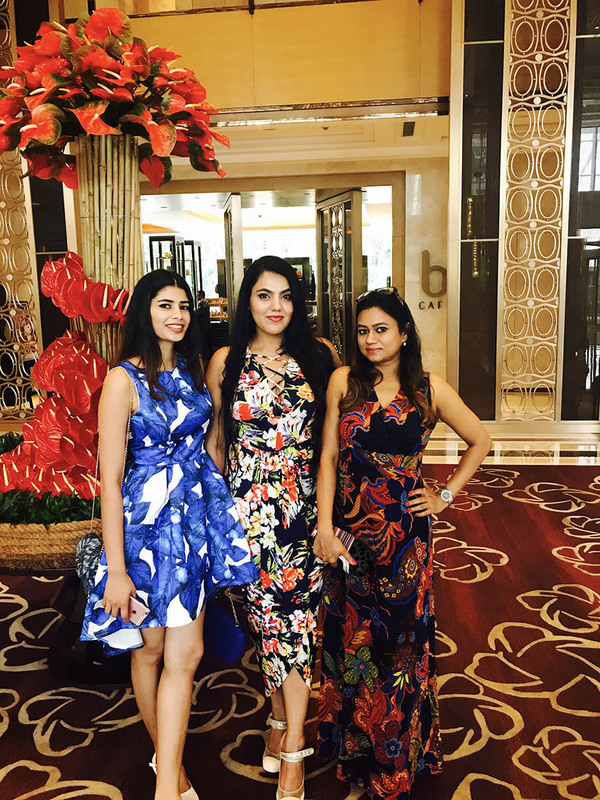 Me and my friends had decided to wear some beautiful floral printed day dresses which typically reflected the mood of the day and represented our flavour for fashion to go with food. It was incredibly romantic afternoon with drizzle and mild showers that just made it so delightful. After lunch when we had some, masala chai from chai ki thadi that culminated our experience. To experience the food extravaganza, guests may book by calling (91 80) 4512 6420 or sending an e-mail to b-cafe.slbl@shangri-la.com. Time: Noon to 3:30 p.m. | 7 to 11 p.m.
*Mighty Brunch rates apply on Sundays.